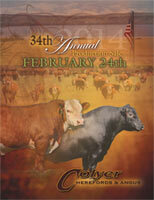 2014 Colyer Herefords & Angus Annual Production Sale - Feb. 24 - Hereford & Angus bulls and females for sale. to Rees Brothers, UT - $31,000. to Perks Ranch, IL - $30,000. Braden Drum, MO - $19,000. to TI Ranches, NV - $10,000. Click here to view FLIP VERSION sale catalog. Lot 87 - NJW 78P 88X Steakhouse 187Z ET by NJW 98S R117 Ribeye 88X ET to Rees Bros., UT - $31,000. Lot 73 - C CJC Chanels Sentinel 3165 ET by K&B Sentinel 0042X ET to Perks Ranch, IL - $30,000. Lot 36 - C Extra Deep 3071 by ECR L18 Extra Deep 9279 to Civil Bend Farms and Braden Drum, MO - $19,000. Lot 17 - C 105Y Domino 3041 by CL 1 Domino 105Y to Powell Cattle Co., TX - $12,500. 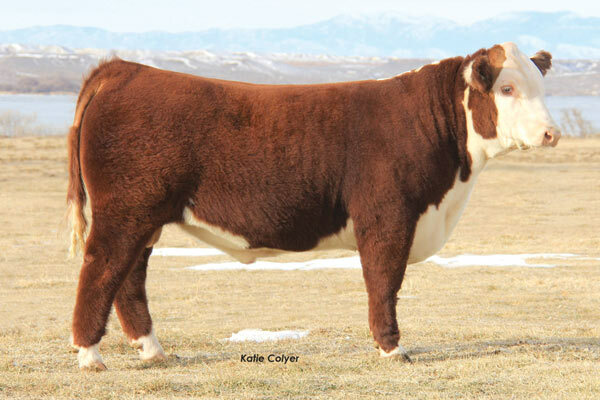 Lot 54 - C R111 Untapped 3125 ET by TH 89T 743 Untapped 425X ET to King Herefords, NM - $10,000. Lot 48 - C Bar1 9161 11X 3103 ET by TH 71U 719T Mr Hereford 11X to TI Ranches, NV - $10,000. 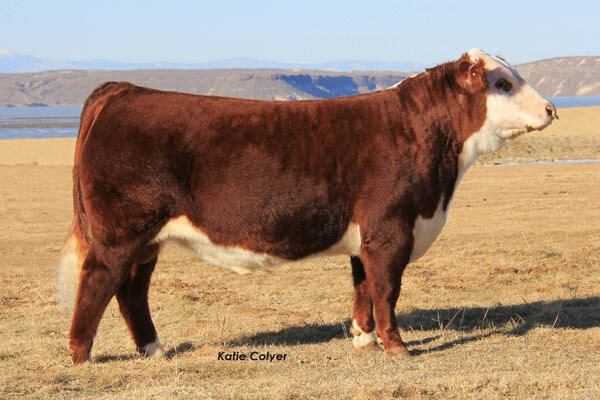 Lot 80 - C 440P Hometown 3203 ET by NJW 73S W18 Hometown 10Y ET to Ledbetter Herefords, TX - $10,000. Lot 39 - C 88X Ribeye 3076 by NJW 98S R117 Ribeye 88X ET to Nathan Possey - $9,750. Lot 30 - C 1111 Bismarck 3063 by C The Dude 1111 ET to TI Ranches, NV - $9,500. Lot 81 - C Chanels Extra 3204 ET by ECR L18 Extra Deep 9279 to VX Cattle - $9,000. 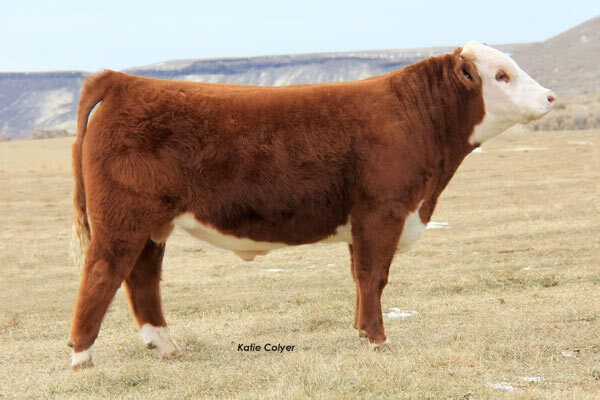 Lot 154 - C 88X Ribeye Lady 3117 by NJW 98S R117 Ribeye 88X ET to Feller & Co. - $6,250. 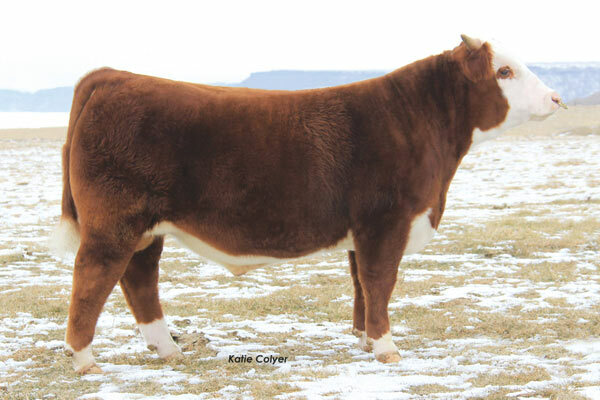 Lot 146 - C Lady Trust 3035 by NJW 73S M326 Trust 100W to Vin-Mar Cattle Co,NE - $4,250. 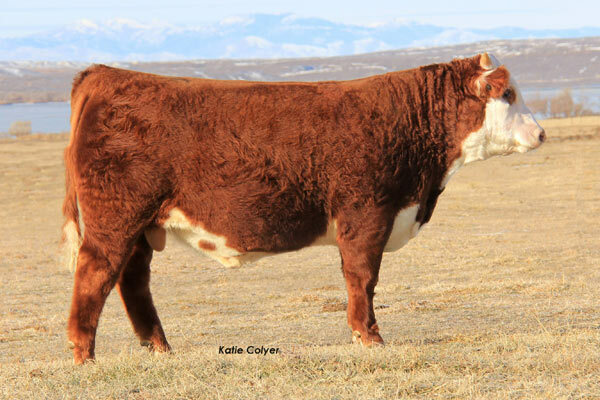 Lot 163 - C Bar1 Lady Era 3187 ET by C New Era ET to Roche Cattle - $3,800. 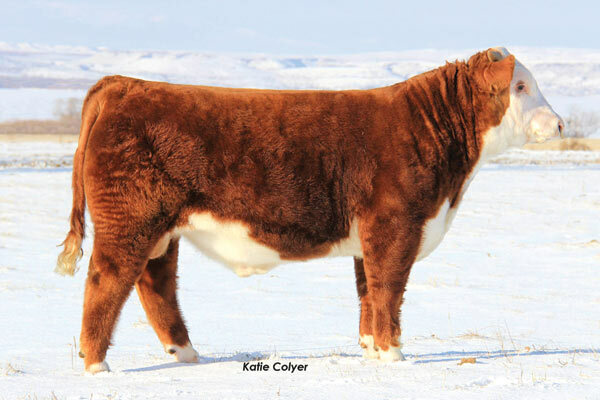 Lot 158 - C 1111 Bismarck Lady 3168 by C The Dude 1111 ET to Dana Kerner, ID - $3,600. Lot 219 - CCC Upshot 3098 by EXAR Upshot 0562B to Tom Davis - $9,000. Lot 221 - CCC Upshot 3100 by EXAR Upshot 0562B to Tom Davis - $8,000. Lot 186 - CCC Four Stroke 3023 by Mytty 4-Stroke to Wilson & Wilson - $7,000. Lot 206 - CCC Bluestem 3071 by Buford Bluestem 9974 to Bachman Ranch, ID - $7,000.